The Rum Village Nature Center is located on the city’s south side in Rum Village Park. Visit the exhibit area, sit at the bird-viewing window, or enjoy a leisurely stroll on the trails in the woods. 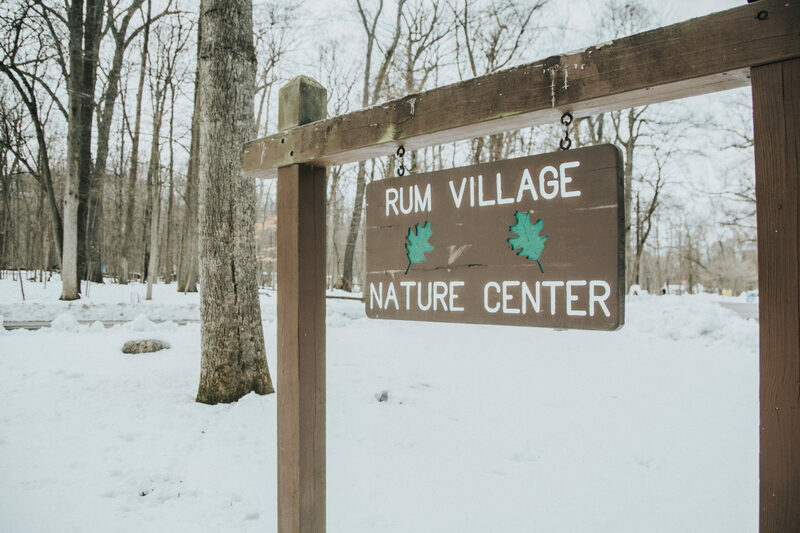 Not far from the heart of South Bend, Rum Village is a wildlife oasis offering hiking trails, biking trails, picnic areas, and a chance to escape to the quiet calm of one of the nicest woodlands in the area. The Nature Center proudly provides group programs, which can be seen here. The 160 acres of rolling woodlands are home to deer, foxes, reptiles, amphibians and numerous species of birds. With so much to see and so many new programs and activities to do, it is no wonder that so many people are rediscovering Rum Village. The largest of multiple projects to upgrade the Rum Village Nature Center facility, a new metal roof was installed in 2016. The metal roof is an upgraded material that will increase lifespan to 50 years and reduce maintenance needs. The Nature Center proudly provides group programs, which can be seen here. These hours are subject to change when the nature center staff is presenting an off-site school program. If you are planning a visit, please call ahead to make sure that the nature center will be open.